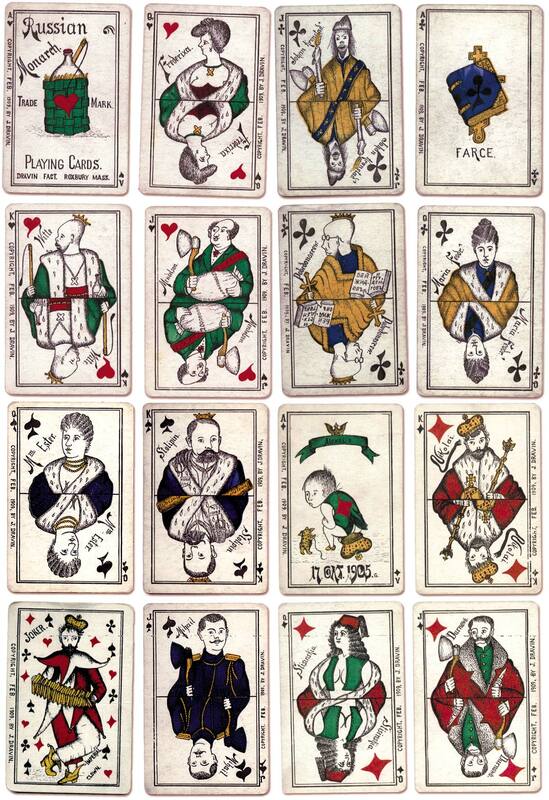 RUSSIAN MONARCH PLAYING CARDS: a rare American Russian political pack by J. Dravin, Roxbury Mass, 1909, depicting events and moods in early 20th century Russia. Each suit has its own colour scheme. Card images courtesy of an anonymous owner. See article by David Galt et al in "The Playing Card" Vol.30 No.5 March-April 2002.